Longtime South Street Seaport advocates Sara Williams (Fresh Salt) and Stephen Dima, who produces the RiverRocks and Seaport Music festivals, partnered for this 32-seat Friday-through-Sunday bar within the Fulton Stall Market. 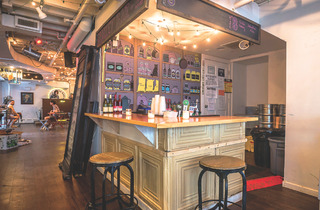 With a record shop and Little Water Radio sharing the space, boozers are treated to DJs spinning vinyl while they sip New York wines, like a Finger Lakes–sourced Fox Run chardonnay, and rotating beers from nearby breweries, including Sixpoint, Southern Tier and Ommegang. 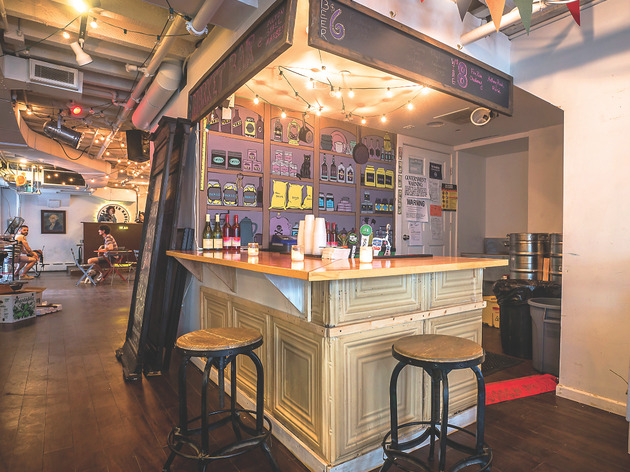 The weekend watering hole plays host to tap takeovers with food pairings from vendors, such as Nigerian street bites from Egunsifoods and New American sandwiches from Gaddy Lane.